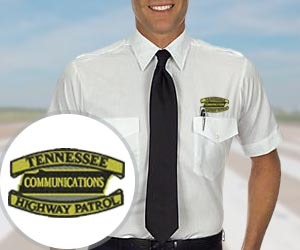 You can use embroidered patches to achieve the look of embroidery or complete your uniform program at an affordable cost. 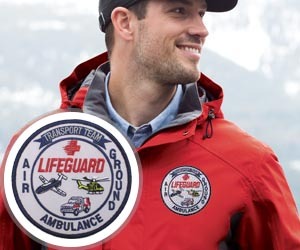 The embroidery is created and die cut to the shape of the logo. This method of decoration is usually done offshore and ordered in volume, and the final decorating cost can be less than of that of direct embroidery. 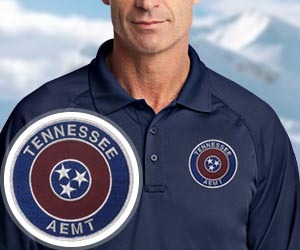 The emblems are then either sealed on with a heat press or sewn into the garment. A typical use-case for patches and emblems is for security or event personnel. American Flag patches are popular as well, and we keep them in stock. We can set this up from almost any high-quality artwork you can provide in a digital format. We provide you with artwork and a color card showing the actual thread colors being utilized for your emblem. 30-45 days after art approval to get your emblems from the factory. Attaching emblems to your order is done in 2-3 days if we have the emblems in stock.